the shield is still going strong... and lost has got me hooked again... and just when 24 seems off it's game, they throw a curve like the final minutes of this week's show (granted, i doubt this season's gonna match last year, but we can hope). Ignore the haters! Lost has been consistently awesome this season. It's the only show I go out of my way to watch ASAP each week. Good to hear something interesting happens in this week's 24 to help salvage this season. The last few weeks have been pretty weak. Anyway, all the other shows are just time fillers until the return of Sci-Fi Friday this week. The final 10 episodes of SG-1! The return of Stargate: Atlantis! What could be better? Yes...the final episodes of Stargate SG-1. Finally. Please make that piece of garbage go away. For this piece of tripe...they cancelled Farscape. Puhlease! 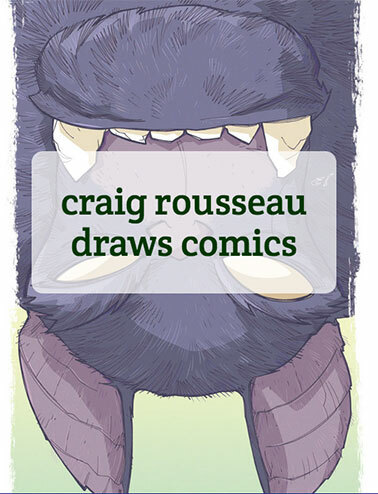 Oh, Craig, did you get my e-mail about the Creature commission? Great color choices on this one. Is this your first Domino? P.S. For the other 5 Andy Barker Fans out there, the final two episodes are on this Saturday starting at 8.
yikes... now kids, play nice. and just so as to remain completely neutral, i'd just like to say i've never watched either show. Hard for me not to like both show since Claudia Black showed up on both of them. Hmmm, Claudia Black, now that might make a nice sketch. BTW, Brian, Claudia Black, and playing her daughter (it makes sense in the show) in several episodes this season, Morena Baccarin... I know you can't resist that combo. I now have a legitimate reason for asking for the two of them in a sketch togeter. Brian is one happy camper. Farscape was one of the best sci-fi shows on TV in the past 15 years. Great stories and concepts, great effects and puppetry. Great acting and of course a damn fine blue babe. Blows away Stargate, either version. Too bad Sci-Fi screwed it up and eneded it prematurely and then tried to ressurrect it and failed. The Hensen group showed what could be done with creative minds and extraordinary talent on a TV budget. BTW, aren't there 2 former 'Scapers helping out the pathetic StarGate SG-1? In regard to the beautiful blue lady, Zhann, it wasn't until I met her at a convention here in the Boston area that I realized Virginia Hey was the Warrior Woman from Mad Max 2. She was a true pleasure to met and still looked as good as she did back in heer Mad Max days.